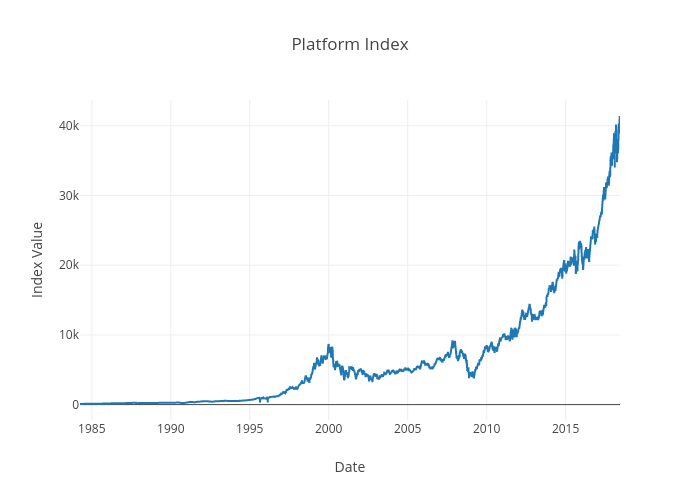 Roman55ff's interactive graph and data of "Platform Index" is a line chart, showing index_value; with Date in the x-axis and Index Value in the y-axis.. The x-axis shows values from 1984-04-02 16:00 to 2017-10-18 16:00. The y-axis shows values from -1772.219245 to 35392.365655.